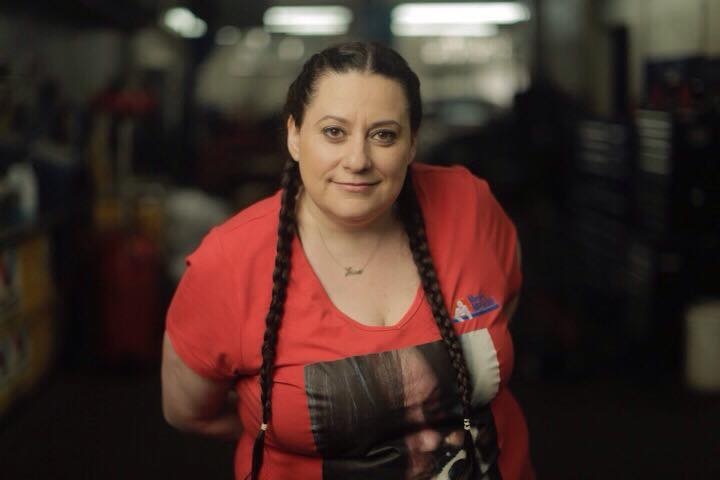 It’s difficult to say if more people know Josie Candito as co-owner of Master Mechanic High Park, or from one of the many initiatives, she’s involved with at any given time! As a cornerstone of Toronto’s Roncesvalles and Dundas West communities, she donates much of her free time to charities, social outreach, and mentorship. As members of the community themselves, Josie and her husband of 24 years, Danny Candito, have seen the immense change in the area and helped spark much of it themselves. She began her career at Master Mechanic’s Head office as an Accountant, where she also worked closely with franchise owners. Always attracted to the freedom of entrepreneurship, she bravely left a secure job to pursue her dreams of owning a business. On March 1st, 1999, Josie realized that dream and became the first female Master Mechanic franchisee co-owner ever. With her relentless drive and knowledgeable partner, Mike Tavares, working in a very male-dominated industry didn’t stifle her growth one bit. In fact, she showed them exactly what they were missing. Josie’s knack for connecting with people found her immediate success as a business owner. The shifting High Park community embraced her warm, generous spirit and the personality she brought to the area. Able to assemble a team of skilled, personable technicians, she soon gained a strong reputation for sound service, too. Her approach is the same with customers, clients and staff: treat people well, gain their trust and make them feel confident working with you. 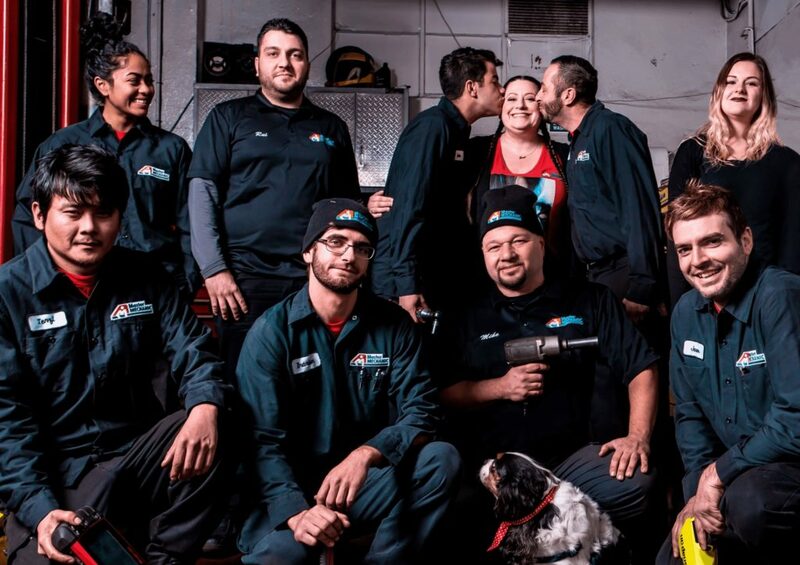 The Master Mechanic brand was a perfect match for Josie, with their ‘you talk to the mechanic’ mantra and transparent approach to automotive service. That approach paid off. As of 2018, Master Mechanic High Park has been announced as the Best Car Service Shop in Toronto by NOW Magazine for 3 years running and shows no signs of slowing down. She humbly credits her team, led by Rui Silvestre, with helping secure the title. Rui is not unfamiliar with accolades himself, as he previously won the Technician of the Year Award for 2017. By serving on the Master Mechanic Advisory Council for 4 years and being named Franchisee of the Year by Head Office, Josie has really shattered misconceptions about what women can accomplish in the automotive industry. Now she’s mentoring other women to do the same! She currently works with women in the industry at her shop and is a Mentor through the AIA’s AWAKE Program (Advancing Women in Automotive Knowledge). AWAKE aims to empower women who are already a part of or are considering a career in the automotive industry. Throughout her career, she’s made it a point to use her platform to help women achieve the foundation they need for a prosperous future. That has taken various forms, from hosting a charity event to help raise money for women and children living with domestic abuse, to one-on-one mentorship. She firmly believes no accomplishment is a solo effort and that everyone needs a stable foundation to succeed, like the one she found with Mike, Rui and her supportive husband, Danny. 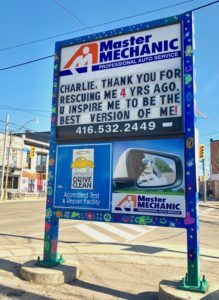 She is recognized beyond Master Mechanic and the City of Toronto, too. She was recently invited to be on the Auto Service Panel as part of the Knowledge share program hosted by the Automotive Industries Association of Canada. Josie herself is a people person and is known for her work with community projects, local schools, children’s programs and charities. She’s also an animal person and works closely with shelters and rescue associations. She even rescued the pup she holds nearest-and-dearest to her heart, Charlie. Left abandoned on the side of the road during the winter of 2014, she discovered him and brought him into her home, after providing him with the proper medical care. They’ve been best friends ever since and are rarely seen far apart. Her love of dogs doesn’t stop at adoption. For the past two years, she hosted WOOFEST–a community-wide celebration of dogs which has raised $12,500 for local animal charities! 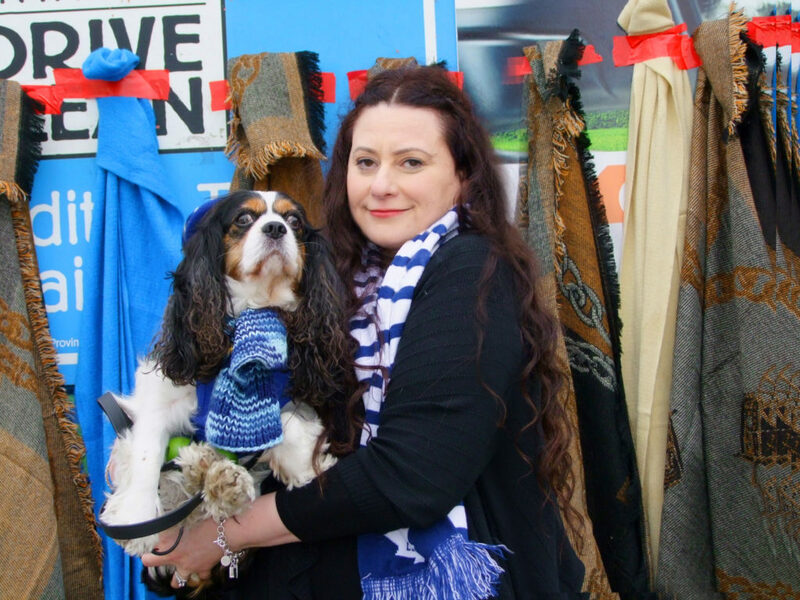 The annual festival is held at Master Mechanic High Park in partnership with the Dundas West Animal Hospital and includes various sponsored services for all dogs and their owners. The event is loved by pet-owners and the community alike and even caught the attention of Daniel Lanois, who wrote and performed a song specifically for the occasion. In recent years, she collaborated with the stART Program, which commissions large-scale projects with local artists to revitalize and engage communities through street art. Their collaborative efforts led to a beautiful mural for the High Park Zoo. Almost all year long, she’s lending her time to promoting or supporting events in the community. There’s the Polish Festival, Roncy Rocks, The Junction Farmer’s Market, The Junction Musical Festival, Movie Nights in Sorauren Park–just to name a few. Through this constant community outreach, Josie–and her shop–have become staples in the High Park neighbourhood and beyond. Even her store sign is used selflessly. While most business owners would promote their services, she displays positive messages for the community and commuters. For the past couple winters, the board has become a tool to connect with and help the less fortunate. With its prime real-estate, she hung a row of scarves for anyone that didn’t have one and inspired her neighbouring businesses to join in. Her knowhow, generosity, and viral success with many initiatives have garnered media attention on a number of occasions. She was invited to speak on CHFI’s Darren&Mo, was featured on CityTV, CBC, Buzzfeed, BlogTO, The Guardian and many more. 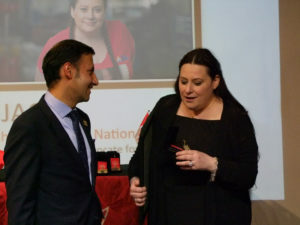 Perhaps most notably, she received the prestigious Change Makers Award in honour of Canada’s 150th Anniversary in 2017. The Award was presented to a handful of Parkdale-High Park residents in recognition of their contributions to the community. Josie is many things to many people, but one thing is certain: she is always consistent and fully-devoted to anything she lends her name to and everything she helps support. To read more about Josie, her shop, and the many initiatives she’s involved with, checkout the Master Mechanic Blog!